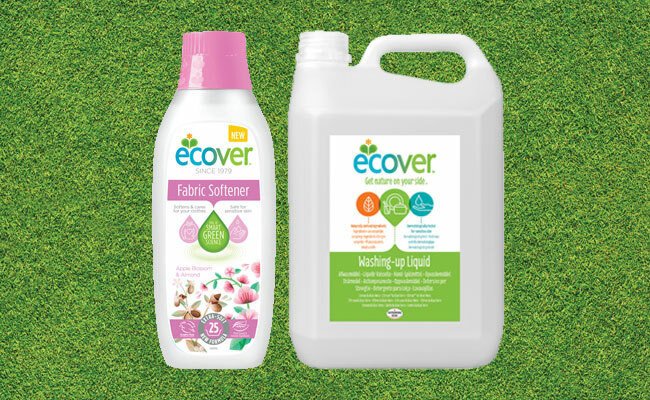 Ecover is the European market leader of ecological washing and cleaning products. Winning contributions and achievements in the field of environmentally sound and sustainable development, these Ecover products are equal to conventional brands in terms of cleaning performance and user friendliness, but offer the conscience user a really green option. Ecover eco-friendly cleaning products takes ecological, economic and social aspects into account from the origins of the raw materials, to the biodegradation of the final products. Strict criteria are employed as guidelines for all business operations, from selecting raw materials, through to production methods, to full decomposition of the end products. What’s more, all Ecover products are against animal testing. Made from plant-based ingredients such as aloe vera, coconut oil and sugar pack, all Ecover products are formulated for the lowest possible toxicity and the fastest biodegradability. Ecover products go through a long and rigorous checklist for the ingredients; if it’s likely to cause skin irritation, eye irritation or aquatic toxicity, it doesn’t go in! Choosing Ecover products shows your commitment to a cleaner, sustainable future and are ideal for use in the home, plus for accommodation such as holiday parks and serviced accommodation. Pattersons Catering Supplies believe that businesses and homes should be aiming to reduce their impact on the environment and stock a range of environmentally friendly cleaning products such as Ecover to encourage people to make the switch to going green! We stock an extensive range of cleaning chemicals and cleaning supplies to cover all your cleaning needs but for the future of our world - try looking in our eco cleaning product department first!